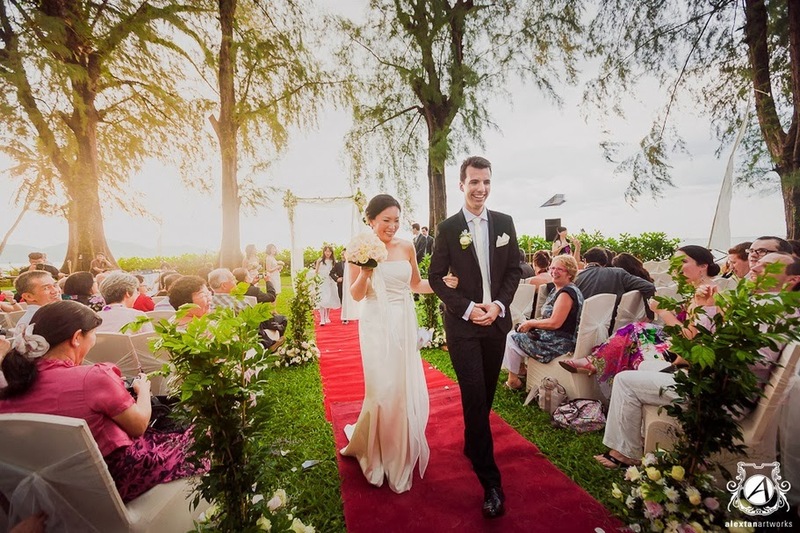 There's something magical about saying 'I do' against the backdrop of the sparkling sea with the setting sun as witness and tall, graceful trees as the audience. However walking on sand may not be too pleasant if you are all dressed up, particularly for ladies on heels. 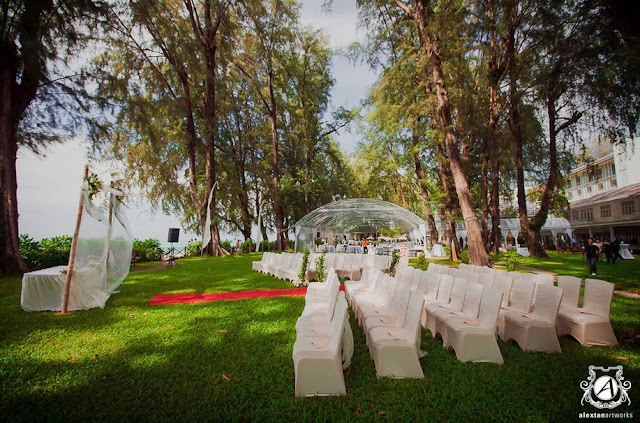 With its rolling lawn which fringes the sandy beach and sea beyond as the venue for wedding ceremony and reception, The Garden at Lone Pine Hotel is your perfect area. 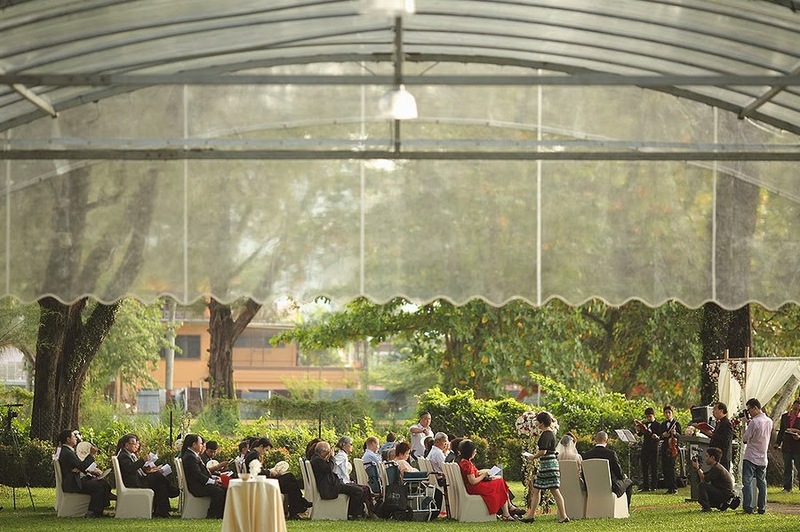 Outdoor solemnization or al fresco ROM/ wedding parties can be held at Lone Pine’s famous beachfronting stretch of lawn where casuarina branches sway overhead and the ceiling is sky-high. Their service and the wedding food received mixed reviews. 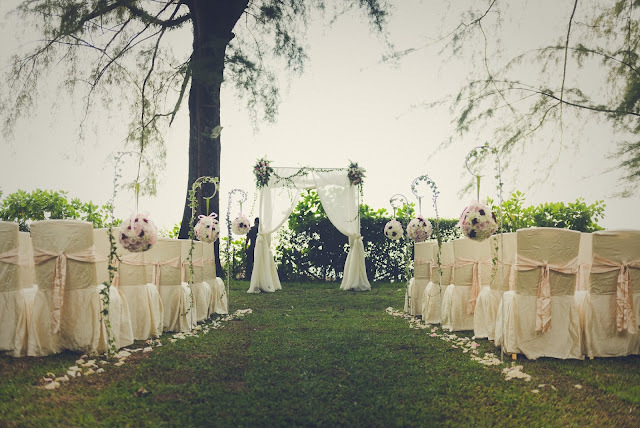 Proper planning with the hotel's wedding personnel is very crucial. Benedict and his team has shown experience of hosting weddings, they provided excellent customer service. 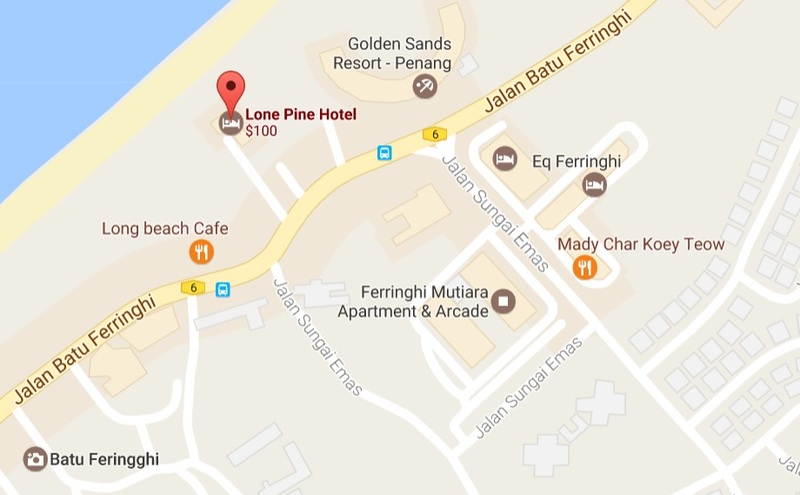 Lone Pine is the first beach hotel on Batu Ferringhi Beach and it dates back to the 1940's. 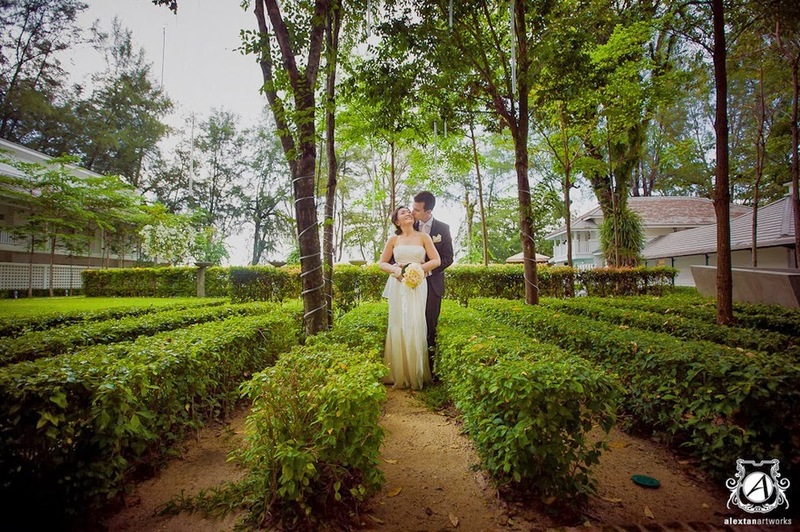 The colonial-influenced design of this white architecture creates a charming backdrop for photography. 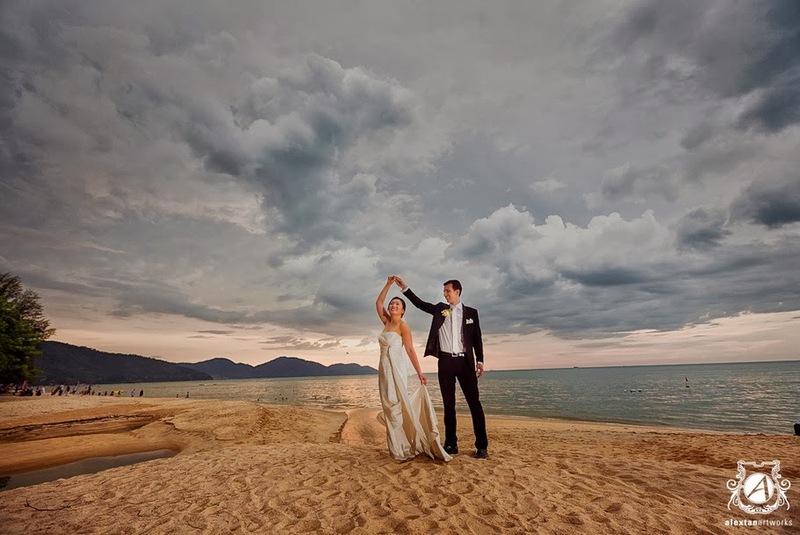 Amid Casuarina trees in the garden, white sandy beach and the scenic blue sea, couples who love the outdoor will find this place very attractive. We would just like to say thank you so much for all your helps and efforts in supporting us to plan and host our wedding in Lone Pine. 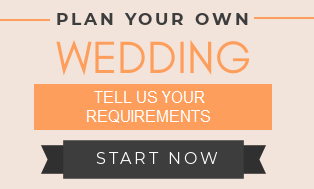 Your swift response to emails and kind patience with us made planning a wedding from overseas as smooth as possible. 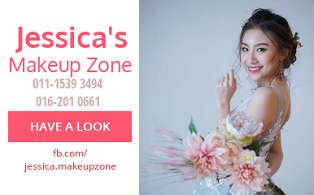 We only met with you and all other suppliers a few days before the wedding day. Yet, it was a very good meeting to finalise our plan, as everyone came prepared and knew our requirement. 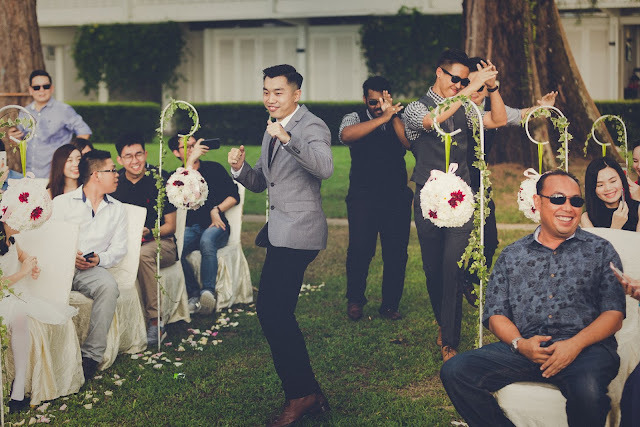 The fact that you have worked with other suppliers previously meant that there was a very good team dynamism and good communications both during the meeting and on the actual wedding day - we cannot emphasise the importance of this! 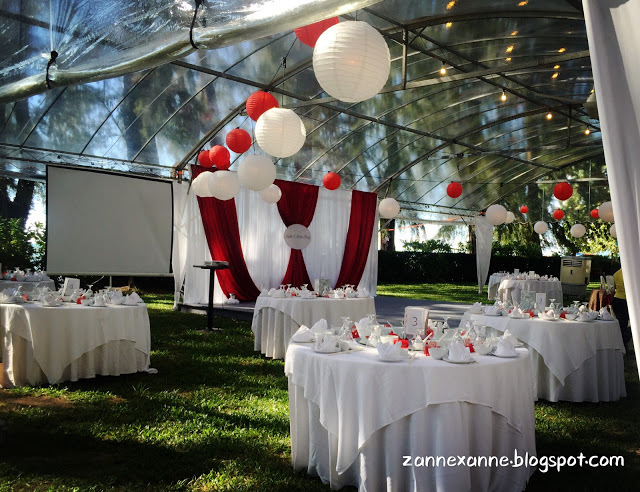 You have definitely shown experience of hosting weddings. 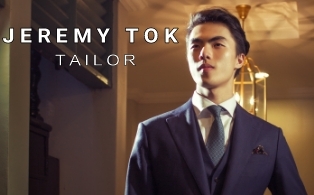 We would like to thank you Benedict personally for your excellent customer service. 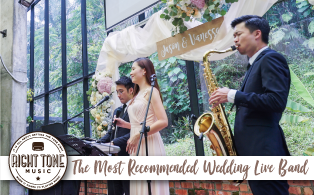 You had been very understanding and considerate and definitely understood the stress of organising a wedding from overseas! 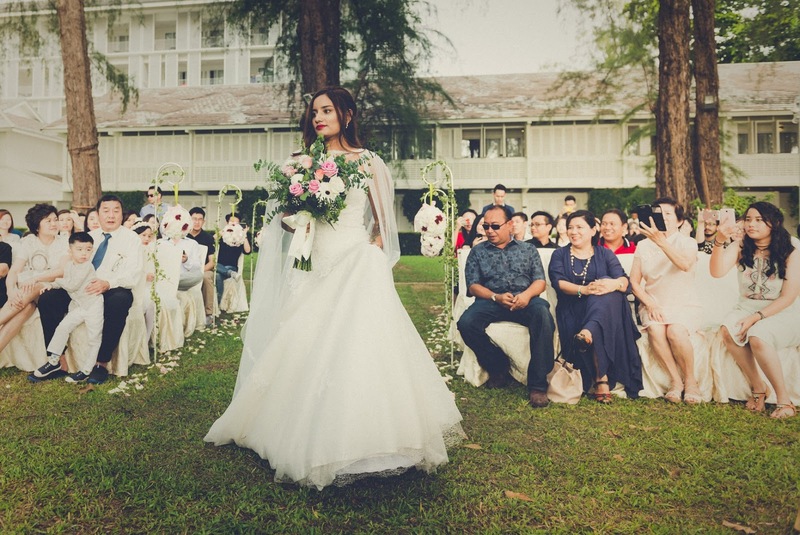 We love the tall pine trees of the hotel, which was the reason we picked this location for our small garden wedding :) the location was the perfect setting for all the decorations we planned with Antiga. Also, special thanks to Elizabeth Chin who made the check-in of our special guests as smooth as possible. She knew the stress of final preps prior to the wedding and had been very considerate. 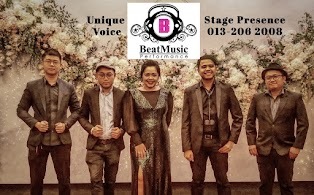 All in all, thank you for ensuring our stay and our big day as smooth, as pleasant and as memorable as possible. Good for staying, but NOT recommended for a wedding reception dinner, poor judgement in allocating slide (it was crookedly presented), coffees were not served at last course according to menu, do not expect their fine dining is like restaurant.. So that you won't be disappointed. 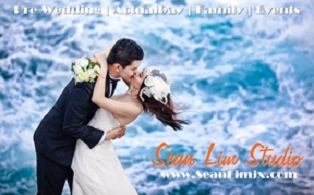 we planned our pre wedding shooting in lone pine and it was a fantastic view of ocean & pine trees. quick check in and check out process and the staffs were friendly and helpful. variety of breakfast at the bungalow was great. cleanliness and environment was superb. 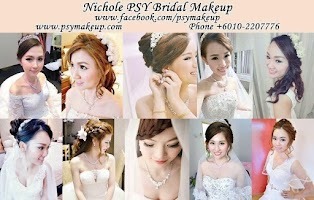 overall we are satisfied with the services and stay. The award-winning 5-star Lone Pine Hotel is infused with colonial spirit & idyllic charm. 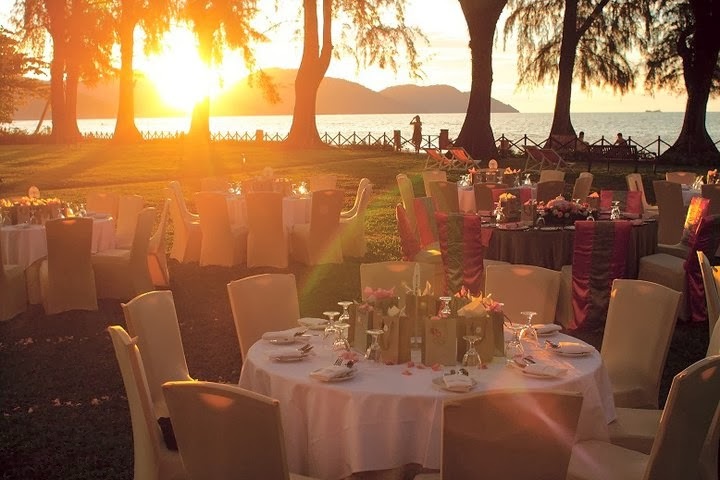 This lavish Batu Ferringhi property is the only first-class boutique hotel in the area & is one of Penang’s legendary hotels. Amid Casuarina trees along the beautiful garden, nature lovers will enjoy the flora, & luxuriant landscape of trees. 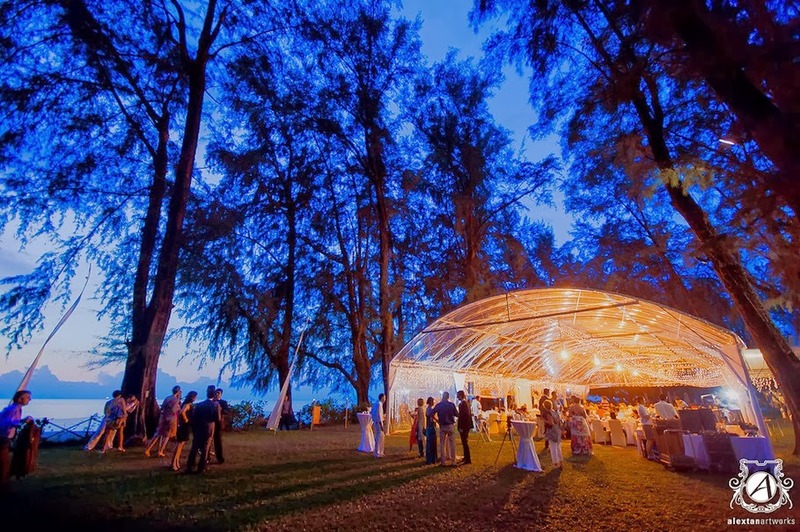 The grand dame is also recognised for their outstanding garden weddings; with the Casuarina trees sheltering its luscious garden along the beach, it certainly attracts many couples to celebrate & share their unique event.